(left): Dr. Harrison H. Schmitt. (right): Dr. Eileen Stansbery, Chief Scientist, Johnson Space Center giving the introduction. 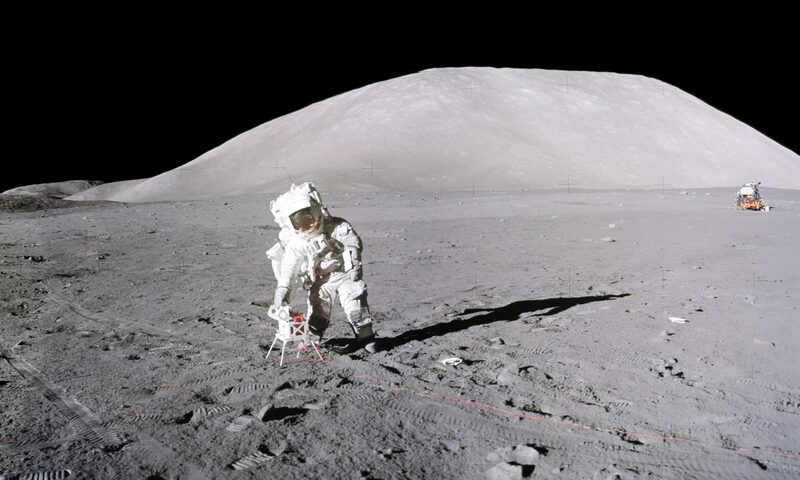 The LPSC-50 special morning session, 50 Years of Lunar Science: The Legacy of ‘One Small Step’ took place on Wednesday, March 20, 2019. A highlight of the session was the Masursky Lecture given by Harrison H. Schmitt. The video of the lecture can be seen by clicking here. Also attending the session was Dr. Justin Rennilson of San Diego. Some may remember Jay as the last active member of the Television Experiment on the Surveyor Program headed by Eugene Shoemaker. When he was at JPL and CalTech, Jay was a co-investigator on the Surveyor and Apollo missions. Jay and Dr. Henry Holt were responsible for photometric and polarimetric use of the surface Hasselblad cameras, including the settings for the astronauts to use when photographing the samples and calibration of the cameras, which they also did on Surveyor. Jay was also a past president of the American Division of the Commission Internationale de l’Eclairage (C.I.E.). (left): Dr. Harrison H. Schmitt and (right): Dr. Justin Rennislon at the LPSC-50 Lunar Science Special Session. A copy of Schmitt’s 2-page printed Abstract from that session can be downloaded by clicking here. Copyright © by Harrison H. Schmitt, 2019. All rights reserved.